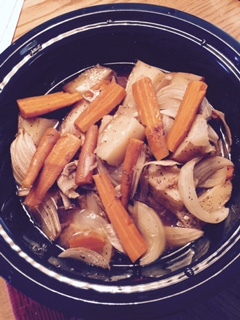 Don't know if it's unique, but I made a wonderful chuck roast, carrots, potatoes, onions and garlic in this vessel. So juicy, moist and tender. Loved it. Made about 3 meals too. I made wild rice one day to use in serving Teriyaki chicken......also did a great job. Today I cut a potato in rounds. Salt & peppered them, then poured melted butter with crushed garlic over the potato. Stacked the potato as if it were whole in the bowl. It's overcase today, so not sure if I will get the normal result. So far, I love this cooker. Thanks for Sharing your solar cooking experiences. The Hot Pot is a great Solar Cooker, and in fact I use mine almost everyday out on different job locations.